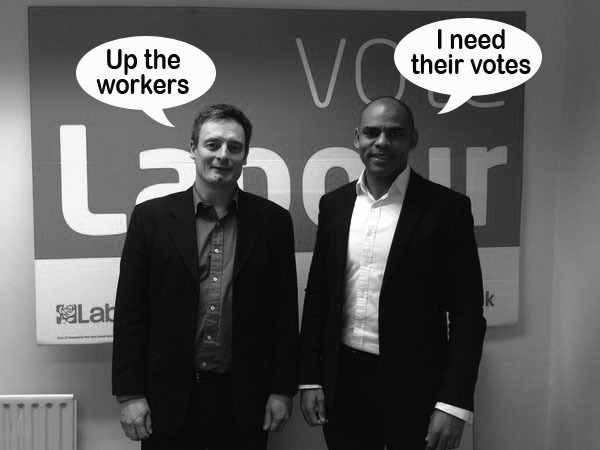 In an effort to boost his flagging campaign – drenched in tedious corporate jargon and uninspiring political correctness – Labour’s mayoral candidate, MARVIN “LUTHER” REES, has found himself a trade union PR and self-styled Corbynite – “TINY” Tim Lezard – to polish his hapless image. Is this Marvin’s latest effort to get some electoral traction out on the suburban estates he needs to capture back from UKIP and apathy if he wants to defeat Ferguson’s overwhelming majority among Bristol West’s wealthy liberals? But is Tiny Tim the man to deliver these estates? A Corbynite mired in the tired old politics and language of trade union bureaucrats? Is it what South Bristol’s crying out for? This entry was posted in Election, Meejah, News and tagged 2016, Apathy, Bristol Labour Party, Corbynites, George Ferguson, Marvin Rees, Mayoral election, Tim Lezard, UKIP on February 13, 2016 by thebristolblogger.